Ever wonder where the thoughts that pop into your head come from? It’s not your imagination that you’re constantly receiving messages, ideas, guidance and other information. It’s called the Psychic Internet (PI) and it’s a guidance and communication system used by all beings. The secrets to navigating this collective databank have been known by a select few throughout history and are now emerging into modern awareness. By achieving and being able to comprehend the digital internet, we are now able to understand PI. Join T.C. Jester to discover the higher level of the World Wide Web, how to log on, search, send messages and download. Learn how to access the Psychic Internet consciously and navigate it safely. Discover how to set firewalls and block mind viruses and other destructive data from corrupting your system. 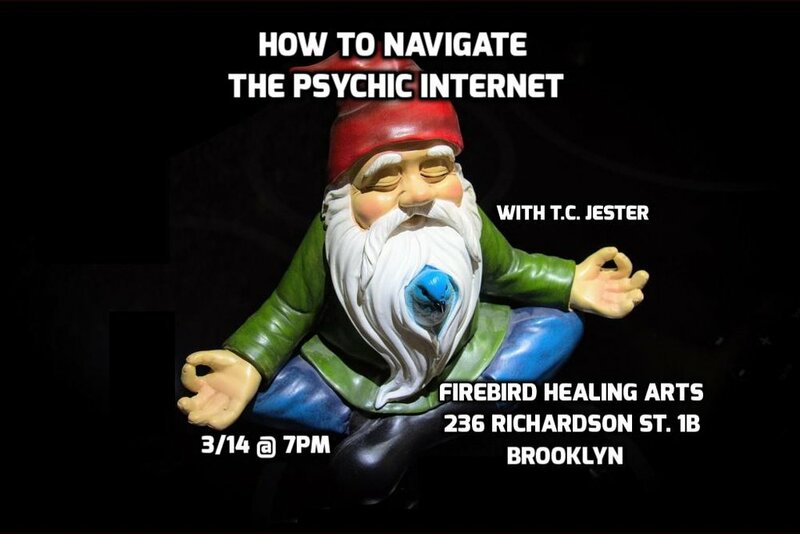 Come learn tips and tricks to accessing positive channels and getting helpful info while remaining grounded as you mind surf PI.